SamcoSport are the world leaders in performance silicone hose, supplying Formula One, World Rally Championship and World Super Bike teams. 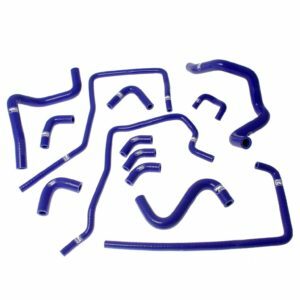 Their range of replacement hose kits, race parts and accessories is second to none. With over 400 direct replacement kits for the tuning and modifying scene, over 100 motorbikes kits, and the world’s largest range of universal parts for motorsport and race cars -SamcoSport produce the best quality silicones hoses, for exceptional performance and guaranteed reliability. Interex supply the full Samco product range – we have many Samco items in stock – however most items from Samco have a circa 3 – 4 week lead time. If you have a specific requirement please contact us using the information below so we can confirm pricing and an accurate lead time.